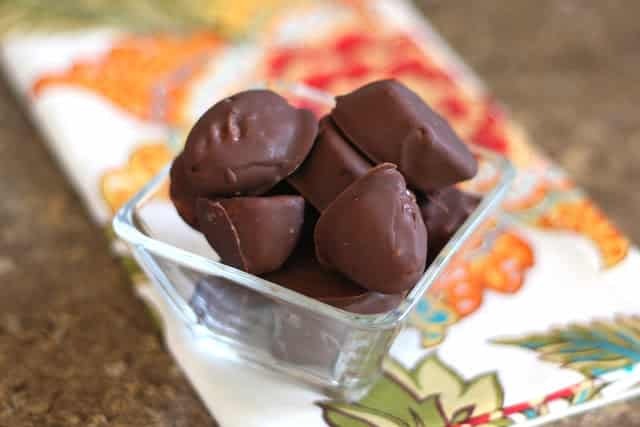 These Chocolate Covered Banana Bites are ridiculously delicious for something so over the top simple, with just a slight hint of coconut flavor and then rich chocolate alongside a bite of frozen banana. I have never been a fan of chocolate covered bananas. Do you remember when all the grocery stores sold kits for chocolate covered bananas? I would see that every time I bought bananas and I have never understood the attraction. The whole huge frozen banana just didn’t sound that appealing. These little bites on the other hand? Oh. My. Word. I am so very glad that my children saw me making them, because I probably would have eaten them all by myself if they hadn’t been standing practically on top of me waiting to taste them. If bananas still aren’t your thing, check out the Chocolate Covered Kiwi Popsicles that we made last year. Slice the bananas into 1/2" thick rounds and place them flat and untouching on a paper plate or a parchment lined baking tray. Set the bananas in the freezer and freeze for at least 2 hours. Place the chocolate chips and the coconut oil in a small glass cup or bowl. Microwave at 50% power for 60 seconds, stir and microwave at 50% power for an additional 30-60 seconds just until the chocolate can be stirred. Stir for a minute or so, until the mixture is smooth. 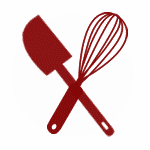 Line a small section of the counter or a baking tray with parchment paper or wax paper. Remove the bananas from the freezer and gently pierce them one at a time with a toothpick and dip them into the melted chocolate. Turn slowly to allow the excess to drizzle off and then place on reserved parchment paper. The chocolate will already be almost set. 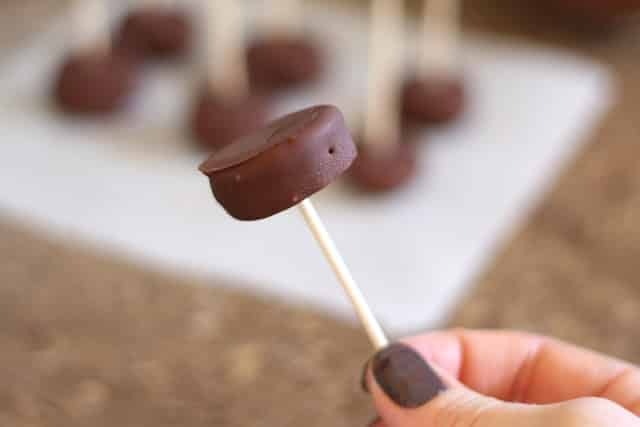 You can skip the toothpicks and simply drop the banana pieces one at a time into the chocolate and use two forks to lift them out and allow the excess to drip off of the pieces. Set the coated pieces onto the parchment paper. Eat immediately or place back into the freezer until ready to eat. I loved the bites straight from the freezer with the frozen banana inside. My kids loved them both straight from the freezer and after a few minutes on the counter when the banana had softened a bit. Enjoy! Yummy Yum yum .....that's all I have to say! Love the nail polish! I bet these were fantastic, your kids must have been over the moon! Sadly enough, I have never had a frozen banana, covered in chocolate or not! My grocery store was slacking the day those were big! So I'll have to give yours a shot, they look delicious! Toss that in vanilla ice cream for instant banana splits! Using coconut oil is such a good idea! What a great and easy way to add more flavor. Rolling the chocolate in coconut would be delicious too. Thank you for sharing! I grew up eating chocolate bananas and have loved them for as long as I can remember. These little bites though are a brilliant idea. Sometimes you just couldn't finish the entire banana and then the exposed part would get brown. I can't wait to try these. Why do you use the coconut oil? I've never made mine with that. Just curious. Coconut oil is solid at 72 degrees and liquid at temperatures above that. 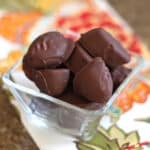 By using it in combination with the frozen banana, it helped harden the chocolate coating onto the fruit almost as quickly as I could dip them. Adding a bit of oil also makes the melted chocolate smoother and it makes the coating just a bit thinner as well. I hope that helps! Yum! these bites look dangerously good. And, I do have a jar of coconut oil in my pantry, just waiting for the right use. Great idea! I made some of these with a bit of almond butter and some with peanut butter on them too!! Yummy!! Such a simple idea, with such a yummy result. I'm with Sue - I noticed the beautiful nail polish too - but the bananas of course look amazing. That's like a magic shell? Very neat and ready for snacking whenever you need a little something. so smart! in my to do list now. thank u! These look delicious! I'll try these the next time I have bananas left over. My kids get to them so fast, I have a hard time keeping them in the house very long. Thank you for the great recipe .It is so yummy and easy to make. I just have a small problem with serving it specially in parties. We cannot eat them immediately after removing from freezer, because it is too tough and cold while after 3 or4 minutes it starts to melt which is not easy to serve. Do you have any suggestion for this problem?